Effective September 1, 2016, the Global Industry Classification Standard (GICS®) will undergo its first major change since its inception in 1999. As a result of the evolving investment landscape, not to mention the global economy, real estate will be carved out of the financial sector. The new 11th sector will primarily contain equity REITs. All Dow Jones and Russell indices will be unaffected by the change. MSCI will make the change on Aug 31, but S&P 500 will change on Sept. 16, which is when most sector funds will rebalance. The financial sector will be split into financials ex-real estate and real estate. After the change, we estimate that the S&P 500 will have a 14% weight in the “new” financials and 3.2% in real estate. REITS and Real Estate Management & Development, which are currently sub-sectors under financials, will be renamed to form the new sector of “Equity REITS” composed of 28 companies in the S&P 500. Mortgage REITs will remain within the financial sector given their greater similarity to traditional financial companies; however, they are a negligible percentage of the index. From our calculations, specialized REITs (35%), retail REITs (22%), residential REITs (13%), and health care REITs (12%) will be the major components of the new real estate sector. In making this change, we believe that both MSCI and S&P 500 recognize the increasing role of real estate in global equity markets and considerable growth in assets since 2009. In addition, the increasing specialization of real estate firms has made real estate the least correlated sub-group within financials. Volatility: We expect that financials’ volatility will increase because the low correlation with REITs provided diversification. Dividend Yield: REITs have a higher dividend yield (~3.5%) vs. 2.4% for the financial sector. So, taking out REITs will lower the dividend yield of financial ETFs to between 1.5-2%. Performance: Financials ex-REITs will have a higher weighting of interest-rate sensitive sub-sectors such as banks, which will be negatively impacted by rate hikes. Increased Demand: Most U.S. equity funds significantly underweight real estate, especially in value strategies. Based on a December 2015 JP Morgan report (1), there is pent-up demand of $100 billion for real estate funds, as long-only mutual funds have an average real estate underweight of 2.1%. Plus, new tax incentives for foreign investors in U.S. REITS may drive demand. Outlook for Banks and Financial Stocks: Banks and financial stocks have more than recovered from the temporary sentiment-driven sell-off led by the Brexit uncertainty as well as concerns about the Fed’s policy stance. Yet financial stocks remain undervalued relative to other sectors, based on estimated P/E 2016, price/book and long-term debt/capital. Unless economic conditions deteriorate significantly in the next few months, we expect a stable to steeper yield curve and higher rates by early 2017. How have the sector economic fundamentals evolved and how does that guide allocation? 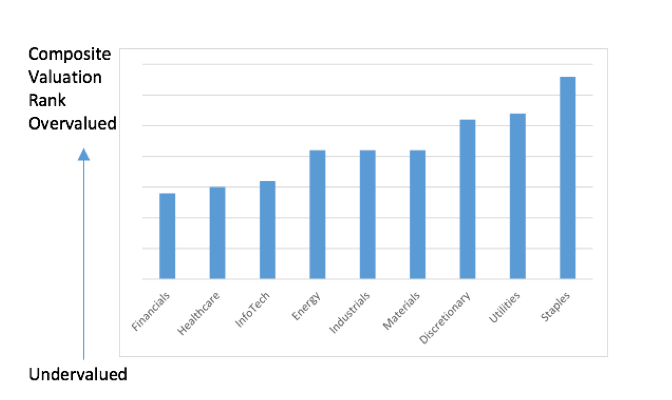 So far this year, why are sectors not performing in line with fundamentals? Why is value still underperforming growth & is the reversal expected to continue? Is this related to small caps underperforming large/mega caps? What are the implications of market uncertainty from Brexit, monetary policy, elections etc. for domestic equity? The Stock Market appears to be placing value on the following sectors in particular; Energy, Materials, Utilities and Industrials – laggards from last year as well as ones projected to perform well in a risk off environment. However, given that we are fundamentally driven, our analysis believes that Economic indicators are pointing toward a weaker growth environment in these particular sectors compared to others such as healthcare, financials and technology. 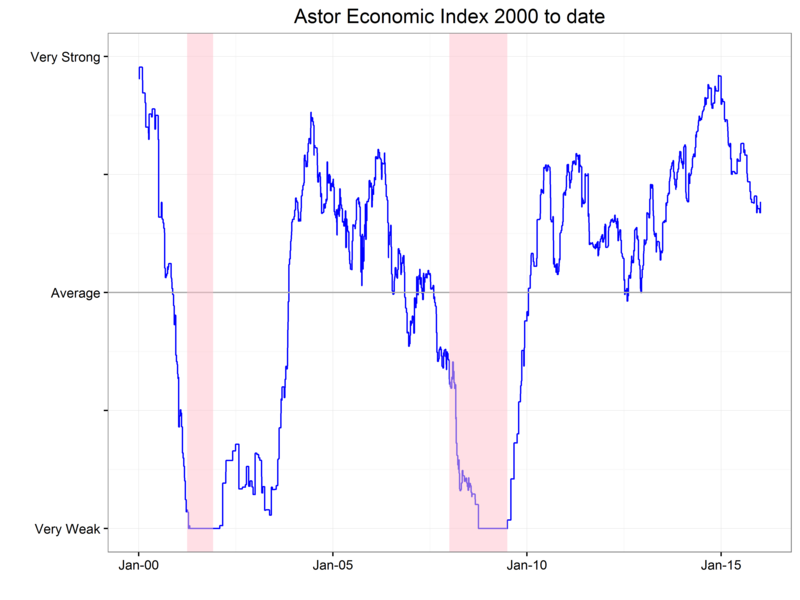 Defensive sectors flows subside & market corrects to reflect relative economic strength. However, as long as the external headwinds remain, being able to pare down overall exposure to equities, in our opinion, reduces volatility and drawdowns in the long run. The Sector Tactical Asset Rotation Composite is a tactical strategy focused on the generation of returns through shifts in domestic equity sector allocations. The Composite exclusively uses exchange-traded funds (ETFs) and focuses on investing in domestic equities during economic expansions while reducing equity exposure for fixed income and cash in weak economic periods. Prior to May 2014, the Composite previously invested in various other asset classes, including commodities, international equity, and currencies. The Composite includes a minimum 15% domestic equity allocation and does not invest in inverse funds. The benchmark is the S&P 500 Index. The S&P 500 Index is an unmanaged composite of 500 large capitalization companies. S&P 500 is a registered trademark of McGraw-Hill, Inc.